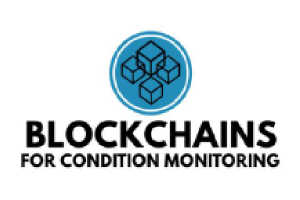 B4CM will put in place a PhD researcher to deliver a blockchain-based solution for the attribution of data costs across organisational boundaries, framed within the context of the European rail industry. Blockchain is a disruptive technology that has the potential to accelerate the pace of future interoperable rail systems. In addition to delivering the technical/research components of S2R-OC-IPX-03-2018: Innovative/breakthrough mobility concepts (with rail as backbone), this proposal will also support the training of a high-calibre early stage researcher; to begin to build much needed research capacity within the rail sector. The overall aim for B4CM is to develop and deliver a blockchain-based testbed for the attribution of data costs across organisational boundaries, and to demonstrate the operation of the framework and in the context of the European Rail Industry, enabling future developers to extend the tools produced based on a known working configuration. Objective 6: To support the development of a researcher in gaining a PhD and thus generating a skilled specialist valuable to the European rail sector.